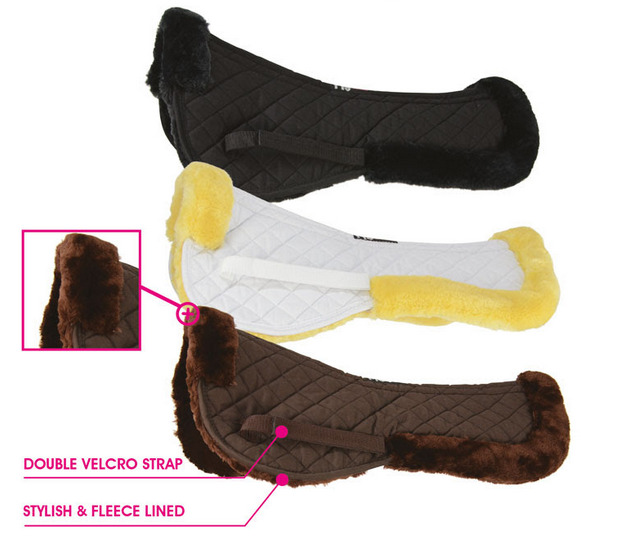 The Stylish Fab Fleece Half Pad from Hy is a soft fleece-lined half pad with clear spine. This half pad looks smart and is highly durable, washes well and dries fast. Ideal for cushioning against impact and protecting against sores and chaffing by increasing airflow. Machine Washable and great value. One size fits all. There are currently no questions for Hyspeed Fab Fleece Half Pad - be the first to ask one!